If your branches appear a little bare or your packages need a little sprucing up, or if you’ve swapped more cookies than your teeth or stomach can bear, consider a homemade Christmas ornament or two. Here's a collection of some favorite DIY ornaments that won’t break the bank or your patience but will still bring out your holiday crafter. 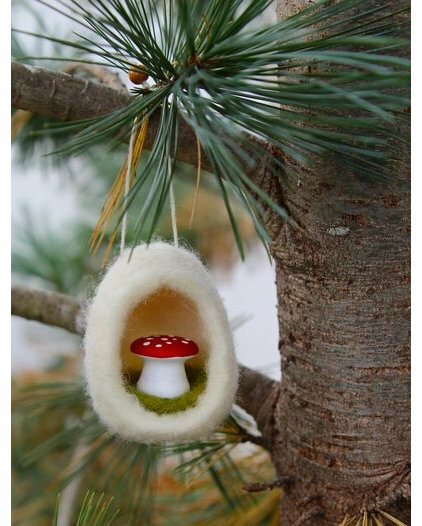 From felted toadstools to plaster doughnuts, these are sure to make this Christmas memorable.